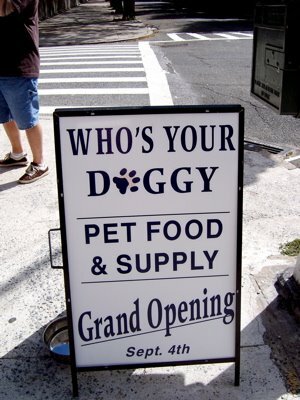 The new pet store, Who's Your Doggy, is now open on Willoughby and Adelphi! Owners and staff offered free hot dogs and took photos of all their doggie visitors at the Grand Opening. They offer a wide variety of high-quality pet food, and best of all, are eager to please. Staff will order any food desired if not in stock, and encourage pet owners to stop in and ask for what they need. 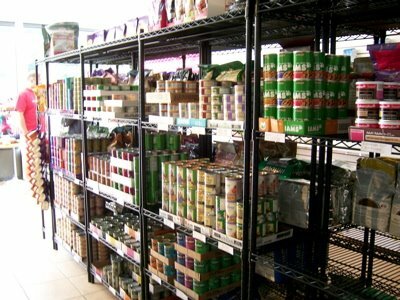 The store plans on adjusting stock as needed based on customers' requests. 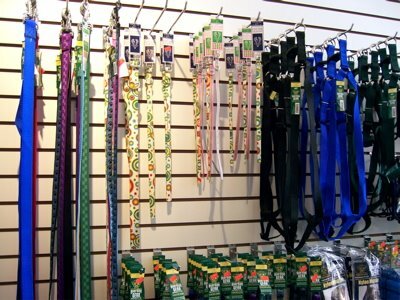 They'll also be open at 7am a few mornings a week -- perfect for swinging in on the way home from Ft Greene Park. I know I've been caught more than once sans pet food, and have had to run to Associated to pick up a box of Meow Mix to tide me over before heading to work. Blech. Businesses on this block don't seem to last very long, but I think the pet store meets a need for neighbors there. Wishing them luck!